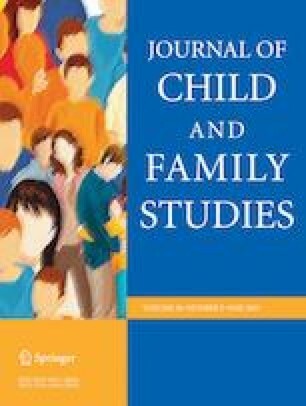 This study sought to uncover patterns of parental interactions following divorce using multiple empirically-supported indicators related to cooperation, overt conflict, and covert conflict and to link patterns of parental interactions with indicators of adult well-being including stress, life satisfaction, alcohol use, and risk drinking. Using community-based sampling and latent profile analysis, patterns of parental interactions were identified and associations among such patterns and parental well-being were examined for recently divorced parents (N= 246). Reports of parental interactions included parents’ perceptions of their own and their former spouse’s cooperation and covert conflict behaviors, as well as perceptions of overt conflict behaviors in parental interactions. Two patterns of parental interactions were identified (Congruent and Divergent). Among the full sample, neither pattern was linked with any indicator of well-being. Examining these associations separately for mothers and fathers, fathers in the Divergent group reported higher levels of alcohol use than those in the Congruent group (χ2 = 4.64, p = .03). Mothers in the Divergent group reported marginally higher levels of life satisfaction than those in the Congruent group. Utilizing a person-centered approach to uncover patterns of parental interactions yielded groups that differentiated largely on the basis of participant’s perceptions of their former spouses’ behaviors. Future research might consider the impact of perception as a component of divorce education evaluation work. A.J.F. assisted in the collection of data, conducted analyses, and contributed in writing all parts of the manuscript. R.E.P. assisted in the collection of data, contributed in writing all parts of the manuscript, and edited the manuscript. K.P. assisted in the collection of data, contributed in writing the literature review and discussion, and edited the manuscript. All procedures performed in studies involving human participants were in accordance with the Florida State University Institutional Review Board. Informed Consent was obtained from all individual participants included in the study. Asparouhov, T., & Muthén, B. O. (2013). Auxiliary variables in mixture modeling: A 3-step approach using Mplus. Mplus Web Notes: No. 15. http://statmodel.com/examples/webnote.shtml.